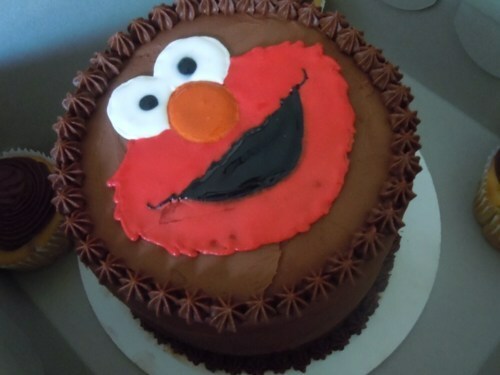 Ever wonder how to make a homemade cake topper? 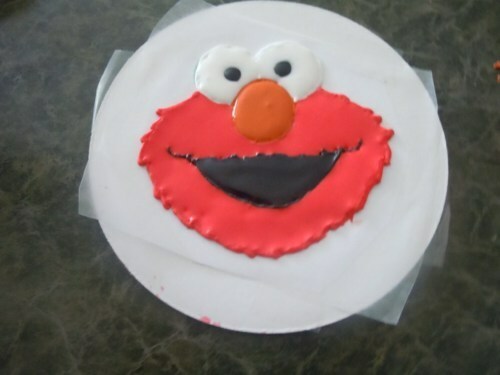 I’ll show you how with the topper I used on the cake from my niece’s 2nd birthday. Step 1: Pick the topper you would like to make. Print your image and cut it out. Recycle your excess paper. Tape your image onto a piece of cardboard. Then, tape wax paper over it. 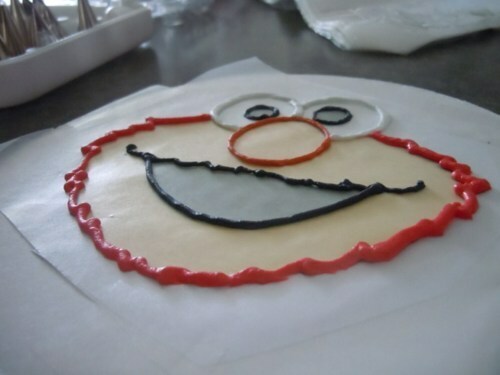 Step 2: Make a Color Flow icing using 1/4 cup + 1 tsp water, 4 cups powdered sugar, and 2 tbls of Wilton’s Color Flow mix. Separate and dye the icing as needed using small cups. 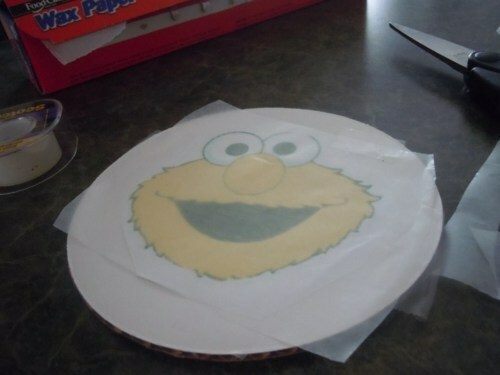 Trace the icing on the wax paper using the outline of your image. Use a number 5 tip or smaller. Always keep the icing you are not using covered because it dries quickly. Step 3: Add one tbls of water at a time into each of your colored icing mixtures. As you are mixing water into the icing, use a spoon to take up some of the icing and then drop it back into the cup. When the icing you dropped back into the mixture dissolves in ten seconds exactly, you are ready to move on. Pour ready mixtures into your disposable bag (no tip needed). Let mixture flow into the correct areas of your topper. Your topper will need a few days to dry and harden before carefully peeling it off of the wax paper and placing it on your cake. Be careful! They crack easily!